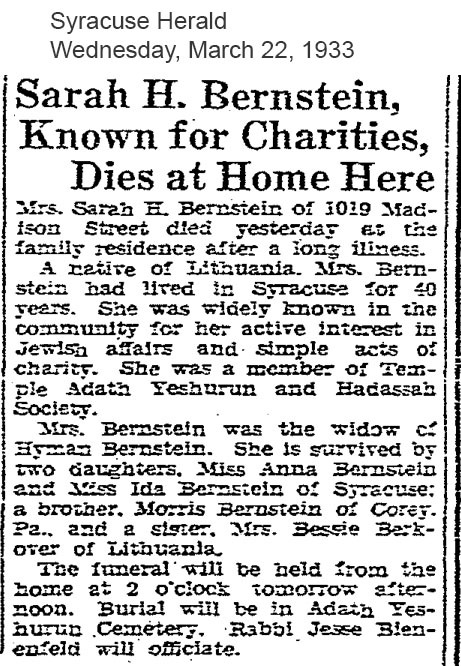 Mrs. Sarah H. Bernstein of 1019 Madison Street died yesterday at the family residence after a long illness. A native of Lithuania. Mrs. Bernstein had lived in Syracuse for 40 years. She was widely known in the community for her active interest in Jewish affairs and simple acts of charity. She was a member of Temple Adath Yeshurun and Hadassah Society. 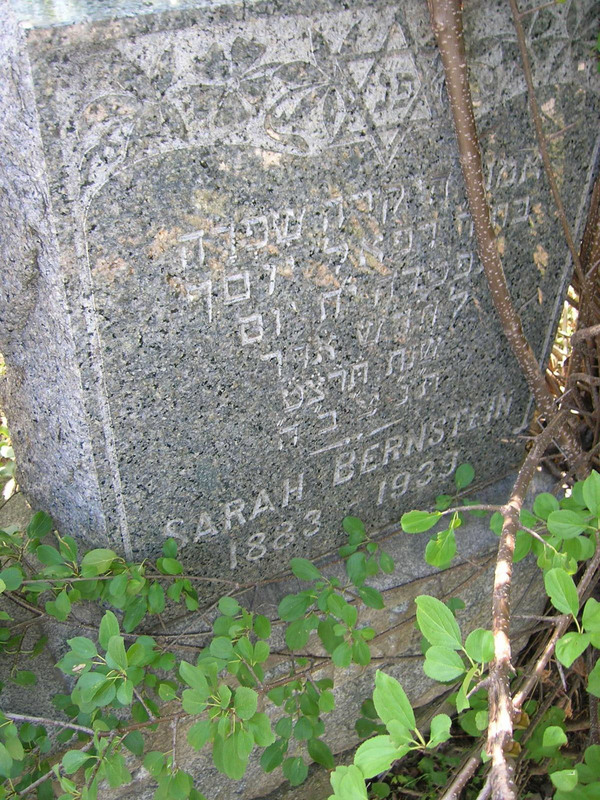 Mrs Bernstein was the widow Hyman Bernstein. She is survived by two daughters. Miss Anna Bernstein, and Miss Ida Bernstein of Syracuse and a brother, Morris Bernstein of Corey, and a sister, Mrs. Bessie Berkover of Lithuania. The funeral will be held from the home at 2 oclock tomorrow afternoon. Burial will be in Adath Yeshurun Cemetery, Rabbi Jesse officiating.